As you build your creative career, you are likely to interact with many recruiters, from those employed by large companies to those who work for third-party agencies such as Artisan Creative. Over time, recruiters can become strong allies in your quest to build your portfolio and reputation, interface with potential clients and employers, and find the work opportunity that best suits you. At Artisan Creative, we continue to work with a wide range of clients and talent. During our 20+ years in business, we have learned what makes talent and recruiter relationships work well together. Here are a few best practices for fostering productive and mutually beneficial relationships. The more upfront you are with your recruiter, the more they can help. A good recruiter can help tailor your resume and cover letter for specific opportunities based on insights they have about a role. It is your responsibility to present yourself honestly and accurately in every detail. If you know you are stronger in some skillsets than others, let your recruiter know. If you are not that interested in an opportunity, or a commute is too far, talk to your recruiter. If you have multiple offers or are interviewing for an Out-of-State role, keep your recruiter in the loop. A recruiter is your advocate, and they can help if they know the full picture by offering suggestions on your resume and portfolio and advising on interviewing, job search and other best practices. Once you get the job, and you settle into a new position, keep your recruiter abreast of any concerns regarding scheduling, compensation, or issues on the job. Part of your recruiter's role is to help manage your relationship with the client – make sure to keep your recruiter in the loop and let them support you during your orientation time period. As long as you are transparent, there is no harm in working with several recruiters at once. You should always work as hard as you're able to build your own career - the stronger a candidate you are, the more recruiters can and will want to help you. The key is to be upfront and let your recruiter know if you have already been submitted to a specific role, or if you are no longer interested in an opportunity. Communication is key to an open, mutually respectful working relationship. At Artisan Creative, we focus on digital, creative and marketing roles. We love seeing good creative work get rewarded, and hard-working creatives build long and satisfying careers. We are fortunate to have established long standing trusted relationships with many of our talent as they grow in their careers and often become our clients! Your best experiences with recruiters are likely to happen with those who are focused on your field of expertise. If you are building a career in a creative field, working with a specialized creative agency such as Artisan will give you inside access to connections and resources you might not be able to find on your own. Other fields, such as accounting, or admin have their own specialized, long-running recruiters who know the peculiar ins and outs of their industries. Work with recruitment agencies who specialize in your area of expertise. 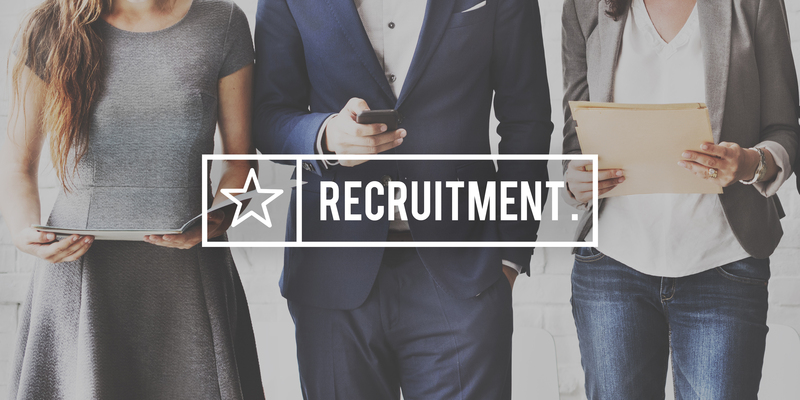 If you find that you work well with a particular recruiter who generates great opportunities for you, you can help your recruiter succeed, too. Recruiters love to see talent do well. If you find yourself excelling in a position that's just right for you, let your recruiter know - it will mean a lot! Many third party recruiters such as Artisan Creative offer referral bonuses to those who refer other strong candidates. This is a great way to reward another person with more opportunities while also benefiting yourself. The creative fields are always changing, and we succeed best when we join forces to learn from each other and work together to thrive in a shifting landscape. At Artisan Creative, we are always looking for new creative talent to take advantage of the tremendous opportunity this work offers. Artisan Creative's a.team is here to help you find your dream team. Contact us today to learn more and join our social network to hear about upcoming job opportunities. Artisan Creative is celebrating 20+ years in staffing and recruitment of creative professionals. Over the years, we've learned a thing or two that we'd like to share with you. We hope you enjoy the 437th issue of our weekly a.blog. Job interviews can be anxiety-inducing, especially if you really want the job. Your resume and cover letter were good enough to land the interview, but meeting face-to-face (or via Skype or Google Hangouts) is a whole other story. And nowadays, it’s not enough to ask the standard interview questions. In fact, many top companies ask their potential candidates an array of surprising and unfamiliar questions to help get your creative juices flowing and see how you respond on the fly to thinking analytically and developing solutions. It’s a chance for you to loosen up, relax, and show the interviewer the real you. We’ve put together a list of real-life interview questions from top companies around the world courtesy of Glassdoor and beyond, from companies including Facebook, Google, Apple, Amazon, Intel, and Trader Joe’s. Try practicing answers to questions like these, and see what fun answers you come up with on your own! Choose a city and estimate how many piano tuners operate a business there. Design an evacuation plan for this building. If I was talking to your best friend, what is the one thing they would you say you need to work on? Design a spice rack for the blind. You may not know it yet, however recruitment is a more exciting career than being skydiving instructor or secret agent! Where else can you impact people’s lives by finding them an impactful opportunity! Whether it’s a 2-day assignment, or a life changing full time move across country, recruiters are matchmakers between candidates and clients. Become a detective! You need to listen, search and connect the dots by discovering your client’s need. You then have to find the perfect candidate for that role. Finally, you need to learn how to bring the two together. It’s your responsibility to make sure the opportunity is right for both the candidate and the client. Hone your communication skills. You have to speak confidently about a candidate’s skills and background as well as a job or company’s features and benefits. Your writing skills are key in writing job descriptions to capture a company’s needs for that position, while presenting an attractive offer to potential candidates. You also need impeccable writing and presentation skills when highlighting your candidate and their key qualifications. Ask the right questions. Being naturally inquisitive goes a long way in recruitment. Getting to the heart of what hiring managers are looking for means asking questions about what they really need. Additionally, you need to know what to ask candidates so you can find the one who meets all the requirements or is the best fit. Listen! Listen to your clients’ needs and candidates’ wants. These have to be in sync with one another. A positive attitude goes a long way. Know you are making an impact. Recruiters help a company make key hires that impact their culture and their success. They help find the impactful and sometimes life changing opportunities for their candidates. The match may not happen overnight. Don’t be afraid of rejection, and know you are making a difference. Be passionate! Recruiting is a job where you literally get to impact people’s lives! You could be the missing link between connecting someone to their dream job. Want to join our team? Talk to us about joining Artisan Creative as a recruiter!